The Justice Files: Who killed Nathan Haun? MILLARD COUNTY (ABC4 News) – One man is dead and another is arrested and accused of his murder. 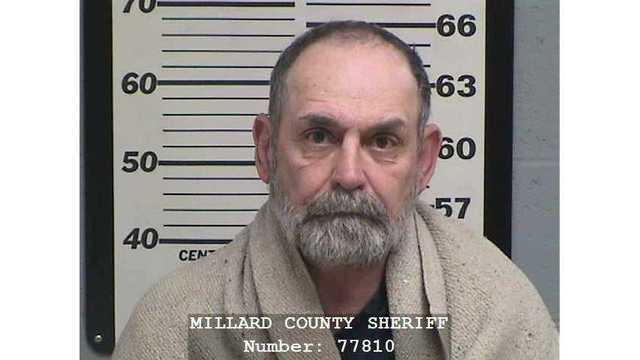 Millard County deputies responded to 98 West 100 North in Delta when a man called 911 and reported he had shot his brother. When deputies arrived, they found Frank Wynn Bringard, 76, dead with a gunshot wound. John Peck, 63, who was the only other person at the home when deputies arrived, was taken into custody. According to a probable cause statement, Peck told investigators he had gotten into an argument with his brother about titles to the property and he shot him. Peck was booked into the Millard County Jail on a charge of first-degree felony murder. Deputies said the case remains under investigation.